According to an updated 20-year aircraft demand forecast for Russia and the CIS, which was presented by Airbus at the recent Wings of the Future forum in Moscow, organized by ATO Events, Russian Aviation Insider’s sister company, the region’s airlines will need some 1,220 new passenger airliners costing a total of $175 billion up to 2037. The Airbus estimates show that the collective fleet operating in the region will double from the existing 857 to 1,700 aircraft. The demand will be driven by a steady expansion of the air travel market, which is expected to grow at an average rate of 4.1 per cent annually during the next two decades. Russia is expected to remain the primary growth generator in the region, with its population’s mobility projected to more than double by 2037. The European aircraft manufacturer’s estimates are comparable to those recently published by Russia’s own United Aircraft Corporation (UAC), which predicts a similar demand – for 1,130 aircraft (those with more than 90 seats). 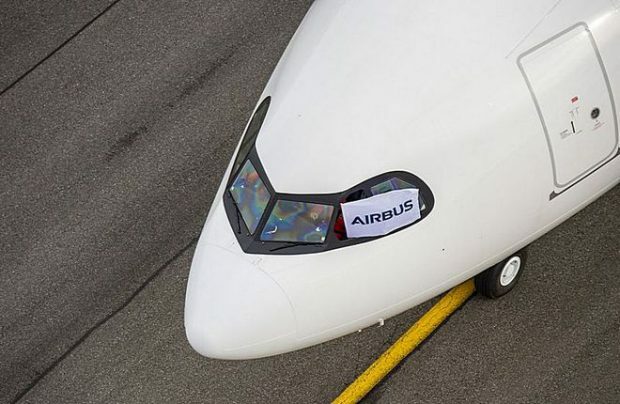 Both Airbus and UAC agree that the narrow-body segment will engender the highest demand in the region, with Airbus estimating it will account for up to 998 new aircraft deliveries. Demand for medium-sized aircraft (medium-haul wide-bodies and long-haul narrow-bodies) is estimated at 140 units. A further 39 new deliveries will be wide-body aircraft comparable to the size of the Airbus A350-900. In all, the European planemaker projects that the whole region will need as many as 44 large aircraft the size of the A350-1000 and A380. The Airbus projection points out that regional airlines will continue to renew their fleets by introducing more efficient models whilst retiring their older generation aircraft. Fleet expansion in the period will drive up the demand for additional flight and maintenance personnel, with estimates of 23,000 pilots and 27,960 technicians and engineers. “We are observing upward trends in the air transport segment. Tourism and business will remain the main growth drivers for the market, stimulating demand for new generation aircraft in Russia and the CIS,” says Julien Franiatte, managing director of Airbus Moscow. “For more than 25 years we have been supporting our customers’ fleet development plans… We are looking forward to new Airbus deliveries to Russia, including the A220, A320neo and A350 aircraft [types],” he adds. Overall, the air travel market in Russia and the CIS is expected to grow at an average rate of 4.1 per cent per year, with the largest growth potential created by the likelihood of the further development of connections to and from Latin American (5.9 per cent), Asia-Pacific (5.4 per cent), Middle East (5.1 per cent) and North American regions (4.5 per cent). Airbus’s current fleet in Russia and the CIS now exceeds 400 aircraft, with more than 330 of them operated by Russian carriers.